Close-up. 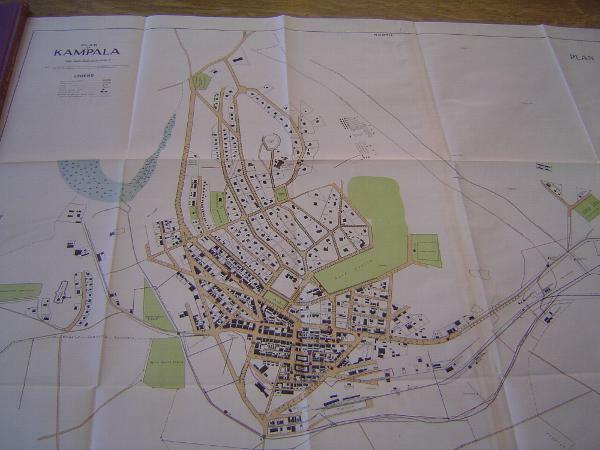 Mirams calculated that Kamapala in 1930 had a total of 518 buildings, of which 208 belonged to the government and of which 142 were residential. Of the 310 private buildings, 252 were residential. There were also 23 workshops, 26 godowns, five factories and ginneries, and four mosques, temples, or churches (p. 73). It's hard to believe that such a tiny place would inspire Mirams to write about "the ravages created when our so-called civilisation forces its way uncontrolled into the heart of a new country."